The Fourteenth Edition of the award-winning Organizations: Behavior, Structure, Processes is based on the idea that managing people, structure, and processes in organizations is a challenging, compelling, and crucial set of tasks. 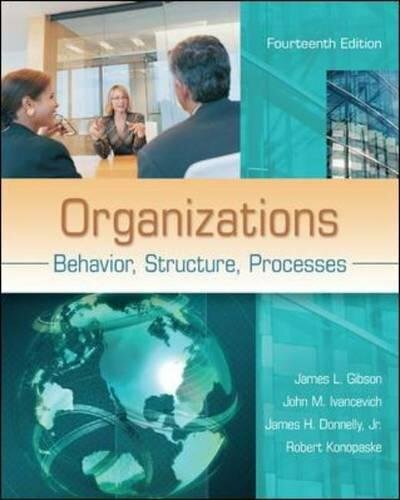 This book illustrates how organizational behavior theory leads to research and how both theory and research provide the basic foundation for practical applications in business ﬁrms, hospitals, educational institutions, government agencies, and other organizations. Readers are given the opportunity to look inside these organizations and to develop their own perspective and skills for managing organizational behavior. In recognition of its educational effectiveness, in 2005 the book received the Text and Academic Authors Association’s McGuffey Longevity Award.